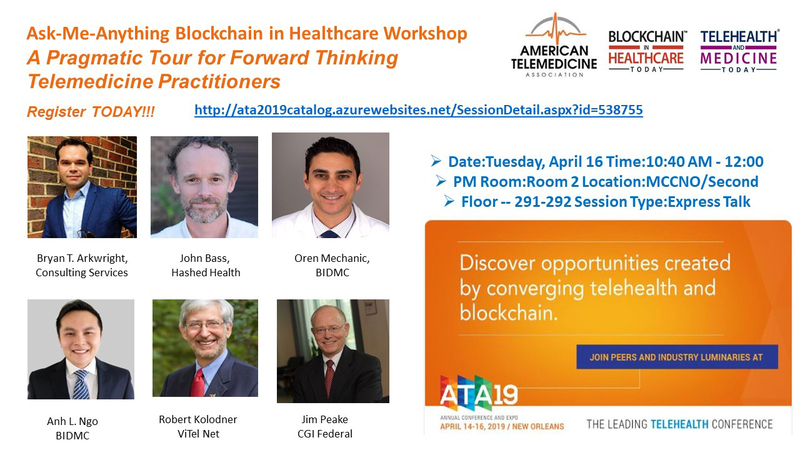 In the first quarter of 2019 I spent a lot of time with the best in the healthcare and blockchain community, specifically at SXSW in Austin (March) and at HIMSS in Orlando (February). Speaking at these two very different conferences was a healthy way for me to check my assumptions and take the pulse of the community as we head in to the heart of 2019. It was also a welcome reminder to keep an open mind and continue learning, or risk making mistakes in my words or actions that can impact our community’s short and long term strategies. For these reasons, here are a few thoughts and themes coming out of these events. This year SXSW had an entire track dedicated to blockchain and crypto. The speakers represented the spectrum from enterprise DLT advocates to Ethereum to Bitcoin blockchain maximalists. The tension between blockchain (open, public ledgers which are generally consumer-focused and inherit individual-focused belief systems) and distributed ledgers (permissioned, enterprise-focused ledgers which are generally inherit enterprise belief systems) was on display and seemed to factor into a lot of conversations. Without a doubt the blockchain presentation that generated the most buzz was Jimmy Song’s debate with IBM’s Hyperledger Fabric engineering lead, Chris Ferris (summarized by Coindesk here). I spoke about the tension between public and private initiatives during my talk during the blockchain track at SXSW. I believe there are near term opportunities for DLT in certain business-to-business use cases where we are solving for problems (e.g. local trust vs. global trust) other than decentralization and censorship resistance. Similarly, I believe we can do this in a way that creates value over and above a traditionally centralized system. Also, it is clear that disruptive potential for blockchain in more consumer-focused blockchain solutions will strengthen over time. Consumers having “control over their stuff” has enormous disruptive potential. This new wave is not something that will come to life overnight. Over the next 3-5 years we will see the existing distributed ledger technologies acting more like blockchains. We’ll see blockchains advance to handle use cases that are out of bounds for the technology in today’s world. I used the following graphic to frame that conversation. Both blockchain and DLT have fundamental strengths and weaknesses in today’s world. Jimmy Song is right… “Bitcoin is the most decentralized thing we’ve got.” And on that point, even Bitcoin is not perfect. True decentralization is still a dream. And perhaps the concept is a distraction from our ability to create value, given how broad industries like healthcare have become. My current position is that different use cases will end up in different positions along this spectrum. I don’t understand how I can be an absolutist in healthcare today, knowing what I know about what sits underneath and around healthcare’s value chains. These technologies will advance across the next 20 years. However, we need to ask ourselves: how should we be working towards that goal right now? Is decentralization the goal for all use cases? Are we ok with elements of centralization in the near term if value is created for the network? Is there room in today’s world for derivatives of the technology that optimize for things other than decentralization and censorship resistance? Perhaps part of the problem is that people are using the word “blockchain” to represent the entire family of systems, some of which are not trying to be a blockchain. Some of these systems on the DLT end of the spectrum look more like an extension of distributed cloud computing than bitcoin. They aren’t trying to masquerade as a blockchain. In many cases, architects are optimizing for different problems. I learn more every day. My thinking on this topic will certainly evolve. My guess is that 2020 / 2021 are the years where you begin to see hints of the public blockchain tooling we need to pull us down the spectrum. Joe Lubin of ConsenSys talked about this in his SXSW presentation the day before mine. Ethereum’s ability to handle only 14-27 transactions per second is an obvious limiting factor that must be resolved for anything on Ethereum to scale and solve real problems. Joe and the Ethereum community see layer 2 solutions work as the number 1 priority, but clearly there’s a lot of work to do to make it happen. The new Ethereum 2.0 base layer sounds like a re-build which will take time. One thing that was very clear leaving SXSW is that many companies you have never heard of are quietly receiving investment from traditional, seasoned, smart investors to build the tools that allow true blockchains to scale and protect data. Every company I know making progress in this space is taking a more realistic approach and is getting lean for what may be a fairly long road to viability. This is a dramatic shift from 2017 and early 2018. Companies who over-invested in 2017 and 2018 are trimming down, “getting back to their roots,” and re-trenching. Lastly, I left SXSW reminded that the dream of network effects for consumer-focused solutions in healthcare did not die with the ICO crash. Token sales and the power of token economics will rise again in another more mature form at some point in the future. Like everything in blockchain space, it’s just a matter of time. 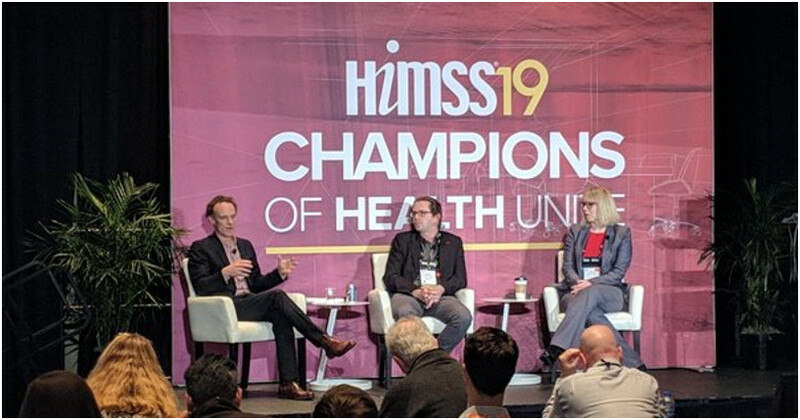 It was no big surprise that HIMSS was the polar opposite of SXSW in terms of the debates, conversations on stage, and the audience. It was evident at HIMSS that the post ICO world has tilted towards the enterprise. At HIMSS, permissioned consortium blockchains are a given. Instead of debating private versus open blockchains, conversations focused primarily on the three big consortia coming to life and which business-to-business use cases might mature at the fastest rate. Moreover, brand name companies are starting to place their bets. Enterprise-focused solutions dominated the week which means that DLT solutions and enterprise-focused Ethereum plans were on display. Decentralization was definitely not the center of attention at HIMSS. At HIMSS19 there were over 90 blockchain-related events and booths. The centerpiece was an all-day blockchain symposium that featured prominent speakers such as Microsoft’s David Houlding, ConsenSys’ Heather Flannery, Steve Posnack of the ONC, and Anthony Begando of ProCredEx. The sold-out symposium was a mix of large enterprise organizations, traditional technology vendors, academics, startups and even a few ICOs (see Robert Miller’s excellent recent ICO research here). Microsoft’s David Houlding did an excellent job kicking off the week with a thoughtful introduction to blockchain in healthcare. His slides can be found here and they are a good primer for anyone new to the technology. Towards the end of his presentation, David commented that “The hardest thing about blockchain in healthcare is forming the consortium.” I found his words resonating throughout the week. I agree that forming the network is often a limiting factor. Failure to bring a network together is a killer for many projects. Only a few have publicly announced that they have pulled it off. These include ProCredEx (provider credentialing), Synaptic (provider directory), and IBM (use case undefined at this time). We know there are a few other projects on the path at Hashed Health and in stealth mode elsewhere. It’s true that many people are making poor use of the ledger from a technical perspective. Some companies leverage blockchain as an innovation brand or as “transparency-washing.” Others use the technology to prove a thesis around a jointly operated network. Version one of the technology may be rightly criticized as something that could have been managed with a centralized system, but the plan is to prove a technical solution and evolve in to a multi-party / multi-system version. Still others cried “the hardest part is the business model!” It’s certainly true that many use cases successfully employ the ledger from a technical perspective, but there’s no real value creation. The use of the technology does not unlock any new advantages or improvements to the current business model. It’s decentralization for the sake of decentralization, or the decentralized solution has no real business model advantages over doing it the old way. Those invested in some use cases commented that “the hardest part is the successful navigation of regulatory considerations.” For certain use cases this is true as well. Certain use cases will remain out of reach because of important regulatory considerations. Some use cases are advancing more quickly overseas for this reason. I always consider it wise to not bet your future on an unanswered regulatory question. There’s plenty we can do that stays clear of regulatory questions. 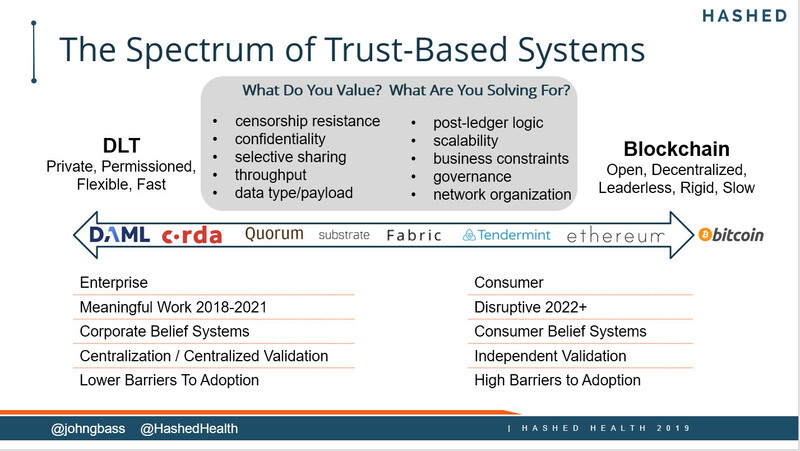 The hard truth is that the hardest part about blockchain in healthcare it that it’s all of these at once. It’s the network + the technical model + the new business model + staying clear of regulatory hurdles and it’s trying to do all of this at the same time. Coordinating all these “hardest part” statements at the same time is the biggest challenge. Very few use cases check all the boxes right now. The companies joining around ProCredEx, Synaptic, the IBM Alliance and other networks who prove they can work together and solve old problems in new ways have an amazing opportunity to change the world. We believe the work we do meets the world where it is today and will build bridges from to a more consumer-centric, more decentralized future. It is often overlooked and important to recognize that large, often competitive organizations in the healthcare space are collaborating in new ways because of this technology. Leaders of these companies who choose to work together, prove a new business model, and scale a product that solves a real but seemingly small problem, can then use that center of gravity to grow and expand and build bridges. Successful consortia believe they can expand and grow if they can successfully establish a beachhead. There are a lot of enterprises sitting waiting for a demonstration of value they believe in and can stand behind. Once value is proven, I expect there to be a rush of fast-followers entering the market wanting to not be left behind. Through this process it’s becoming increasingly clear that blockchain and blockchain-inspired technologies is already changing how businesses behave. 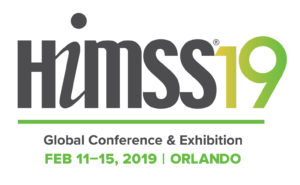 Through the activities and meetings at HIMSS this year, it also became more clear that small companies like Hashed are important partners to these consortia because the startups create the safe space to iterate and explore. We are designed to try things, fail fast, learn, and try again until we get it right. ProCredEx is a perfect example. We attempted two versions of that product on two different protocols before we figured out how to make it grow in today’s climate. We are built to understand product-market (“product-network”) fit in the blockchain space in a way that would be difficult or impossible for a company on its own. We do so in a collaborative and capitally efficient manner. We are built for loonshots… the gardeners tending use cases that have the technical and non-technical characteristics for success in the current environment. Like any good gardener, we need to watch for signs of changing conditions.